A prominent Al Jazeera anchor with close ties to the Muslim Brotherhood issued a statement praising the murders of police officers and advocating attacks on journalists who stand with Egypt's current government. 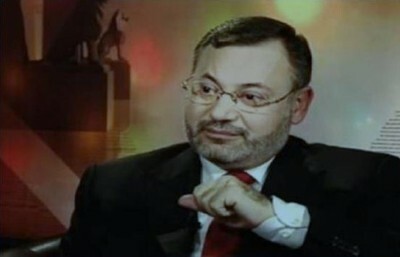 Ahmed Mansour's statement was reported Saturday on the Brotherhood's own web site, Ikhwan Online. It blamed police and journalists for supporting last summer's military intervention which ousted President Mohamed Morsi – the Muslim Brotherhood's candidate – from office just one year into his term. Those who "retaliate against the criminal officers, are the ones who will help in overthrowing the coup," Mansour's statement said, according to Ikhwan Online. "They are those which will destroy the economy of the coup. They are those which will decisively prevent the return of tourism." A suicide bomber killed four people and injured 14 more last week in an attack on a tourist bus and an Egyptian police conscript was shot in the leg during an attempted ambush. Mansour's statement also criticized "the treasonous media" for siding with the military in toppling Morsi last July. The military violently quashed protest camps demanding Morsi's return to power, killing hundreds of people. "Considering the media partners in all the massacres is correct, and their being punished at the hands of the movements today is not a terrorist act, but act of heroism," Mansour's statement said. The article was quickly removed by the Brotherhood, however, and Mansour denies making the statement. He claims that he is being set up by Egypt's military government. "Coup agencies misled dozens of news sites, including Ikhwan Online [the Muslim Brotherhood] by spreading an article in my name, with incitement to murder," Mansour wrote on Twitter Sunday. "I proclaim my innocence of this prattle." Tricking the Brotherhood would be quite an accomplishment. Mansour has been identified as a Brotherhood member and has long had close relations with the group. This is not the first time Mansour claims to have been set up. Days after Morsi's ouster, the Brotherhood published a report attributed to Mansour which claimed Egypt's new interim president was a Seventh Day Adventist, "which is a Jewish sect," the article said. The new leader wanted to move the Muslim-majority country closer to Christianity, Mansour said. It also said that Mansour accused opposition figure Mohamed ElBaradei of refusing to join Egypt's Islamist-led Shura Council because the council denies the Holocaust. "This is a token gesture offered to the Jews by ElBaradei so that he can become President of the Republic in the fake elections that the military will guard and whose results they will falsify in their interests…All with the approval of America, Israel and the Arabs, of course," the Brotherhood article quoted from Mansour's statement, which reportedly came from his Facebook page. Mansour said he had no Facebook page at that time, however, so "everything that was published in my name through Facebook is false." But Mansour has entertained anti-Christian conspiracy theories on Al-Jazeera. During a 2010 interview on his "Without Borders" program, he asked about the Coptic Church's "dominance over the country in Egypt and the Coptic demands for more rights." Copts make up about 10 percent of Egypt's 85 million citizens. Mansour asked about an alleged shipment of weapons and explosives smuggled in by Coptic officials. Since the coup, Muslim Brotherhood members and other Islamists have attacked Coptic churches and communities, blaming them for Morsi's fall. But it is the Copts who posed the threat, Mansour's guest said in 2010. The imported weapons would be stored inside churches. "Christians hoarding weapons in churches can only mean one thing: that they intend to use them against Muslims," Mohamed Selim al-Awa said. "The weapons that the Copts bring and store in a church can have no purpose other than to be used in the future against the Muslims," he added predicting that Copts were "preparing for war against the Muslims." Al-Awa later said his remarks had been misinterpreted. It is difficult to see how so many lines are getting crossed between the Brotherhood and Al-Jazeera, and between the Brotherhood and Mansour, the network's anchor. In his 2007 book, (Un)civil War of Words: Media and Politics in the Arab World, Egyptian scholar Mamoun Fandy wrote that "Qatar 'gave' part of Al-Jazeera to the Muslim Brotherhood. The director of the station, Waddah Khanfar, is a Muslim Brother, Sheikh [Yusuf] Qaradawi, the TV star of the Muslim Brotherhood, has a regular show on Al-Jazeera, and another second-generation Muslim Brotherhood member, Ahmed Mansour, has two shows on Al-Jazeera: Shahed ala al-Asre (A witness to history) and Bila Hudoud (Without borders)." The network's bias toward the Brotherhood prompted nearly two dozen staffers to resign in protest last summer. Al Jazeera America launched last summer, promising "fact-based, in-depth news." And while there may be a different tone and style, both branches of the network remain funded by, and answerable to, the same Qatari bosses. Mansour, meanwhile, isn't exactly exhibiting peaceful sentiments toward those he says did him wrong. "The television channels of the coup and its newspapers and intellectuals are all with all their power launching large-scale attack against me using an article they faked and publishing it in my name," he wrote on Twitter Monday morning. "The curse of God upon these lying murderers." I really appreciate all you people do to open the eyes of those who care about our freedoms. Al Jazeera is no more than the next MSM that is already changing its format to be more opinionated on issues, while putting down USA and they single out the negatives in all aspects of what is going on. Recently they did a special on the slant toward a police state in the US. Now that the uninformed listen to this channel, they will begin to believe the rhetoric, and that is the beginning of taking down our democracy. The Icky-wan are so pitiful . . . Blame, blame blame, whine, whine, whine is all they can do besides hating Kafirs. They project their own evil deeds on to others. Everyone knows that the mosque functions as an armory and jihad central headquarters. Thank you Steve and the Investigative Project for all you do.